Since 1975, Sofia University has aspired to be a leader in transformative higher education offering students an education that transcends beyond a traditional learning environment. Students of Sofia are passionate individuals that recognize the need to be a part of something greater than themselves and seek an education that will provide them with the tools to empower not only themselves but their community as well. As a result, the students who have passed through Sofia University have gone on to experience life-changing pursuits, as well as to positively impact the world around them. Today, Sofia University continues to expand its undergraduate and graduate programs to include business and technology while remaining committed to its transformative values. 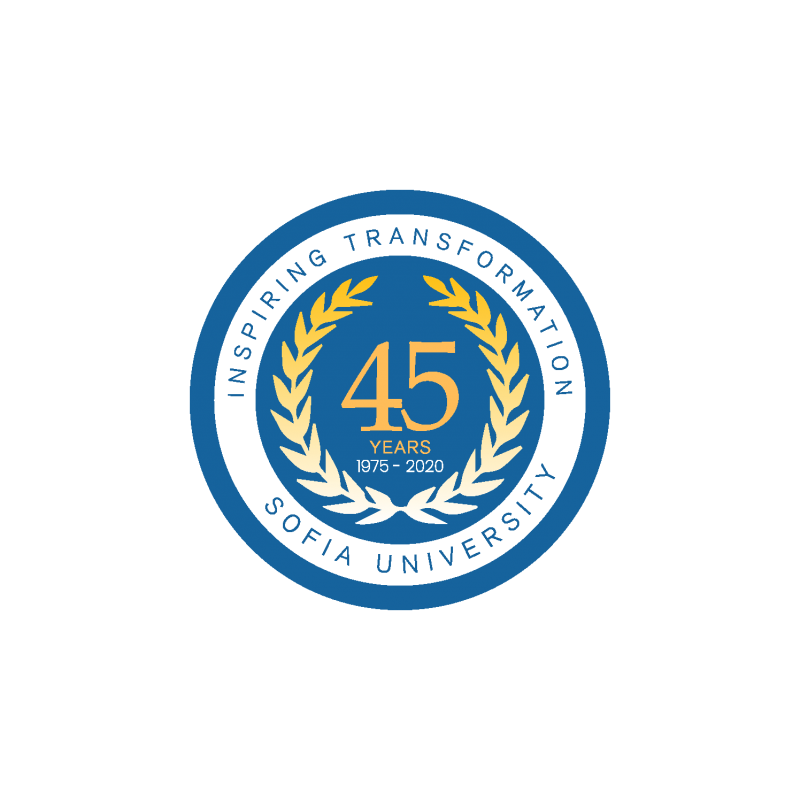 Sofia University looks forward to celebrating 45 years of Inspiring Transformation in the lives of its students – past, present, and future. Our educational approach has been rooted in transforming the transpersonal – the belief that true transformation requires a deeper understanding of the body, mind, and spirit. Founded in 1975 by Dr. Robert Frager and Dr. James Fadiman, Sofia University initially began as the Institute of Transpersonal Psychology, a graduate institution that fully prepared psychologists to understand human nature. Today, our transformative transpersonal values remain the foundation for our university as we broaden our focus to include computer science and business. An education at Sofia will challenge you to embrace all that you are. Your talents. Your skills. Your faults. Your shortcomings. True transformation encompasses all. The Board of Trustees of Sofia University is the corporate body established by the charter with complete responsibility for the government and welfare of the University, including the interests of students, faculty, staff, and alumni. Sofia University has been accredited by the nation’s premier regional accreditation body for higher education, the Western Association of Schools and Colleges (WASC) since 1998. Through its rigorous review process, WASC confirms that Sofia University possesses the resources, policies, and practices to achieve its educational goals and shows a dedication to the improvement and accountability of its programs. In 2015, Sofia was approved for an additional 7 years on its accreditation status. Sofia University is on California Bureau for Private Postsecondary Education (BPPE)’s Listing of Accredited Institutions and Programs. Sofia University is on the Council for Higher Education Accreditation’s Listing of Accredited and Candidate Institutions (CHEA). Sofia University is also among the recognized list of institutions of higher education in the U.S. Department of Education’s database. Sofia University is also among the recognized list of institutions of higher education on Chinese Government Website of Ministry of Education’s database as “Sofia University (Original name is Institute of Transpersonal Psychology，name changed in 2012)”.